Tor Karone Song Lyrics by Armaan Malik Music composed by Apeiruss Starring: Shoumik Ahmed, Brishty Islam, Touhida Tohu and Pintu Saha Tor Karone Arman Malik Bangla Video Song Directed by Isteaque Ahmed. 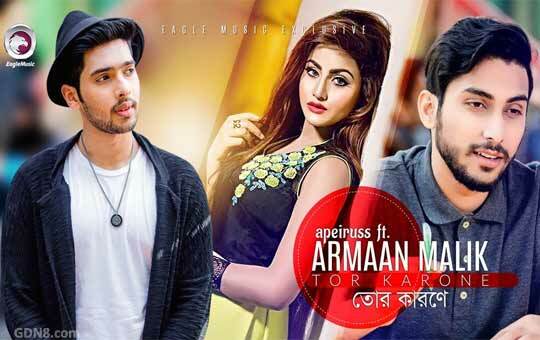 News about Tor Karone Armaan Malik & Apeiruss Song Lyrics: Great news for all "Armaan Malik" lovers, He is come with his first ever fresh new Bangla song. Music composed by Samee, Shafi & Andy and Tune by Rumman Mixing & Mastering by Samee Mahmud from Apeiruss.